The characteristic gorge of Hengifoss attracts tourists from all over the world. With its colourful horizontal stripes it is created by the Hengifossá, with its slim waterfall that is perceived almost as a void, an open slit in the landscape. The service facilities, as a response, grows out of the same landscape and creates a a new gorge, a sheltered space which opens towards the west and the sun. Skálin and skálinn, the two gorges, creates a symbiosis that blend start and end of the journey in the vast Icelandic landscape. 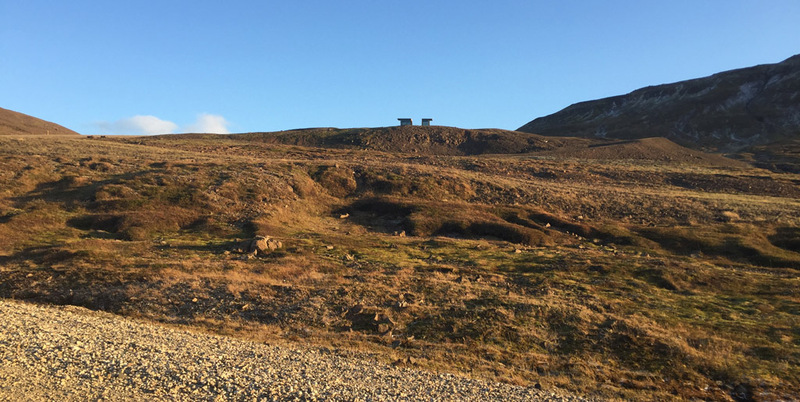 On october 28th 2016, three years after the competition result was announced, the service facilities for hikers to the Dyrfjöll – Stórurð area at Vatnskarð was officially opened by the mayors of Fljótsdalshérað and Borgarfjörður Eystri. A week ago it was also announced that the project has received the Icelandic Environmental Award for 2016, awarded by Ferðamálastofa (Icelandic Board of Tourism), an independent office under Atvinnuvega- og Nýsköpunarráðuneytið (Ministry of Industries and Innovation). 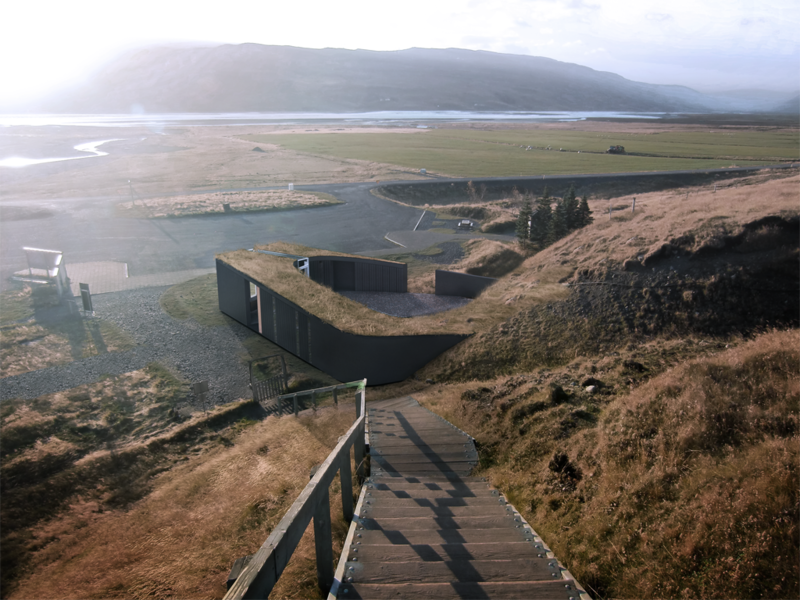 The Mosque finds its inspiration from the icelandic landscape – gently rising from the surrounding park landscape – with a protective perimeter wrapping resembling the fault line walls which have played a vital role resonating democracy and justice at Þingvellir. 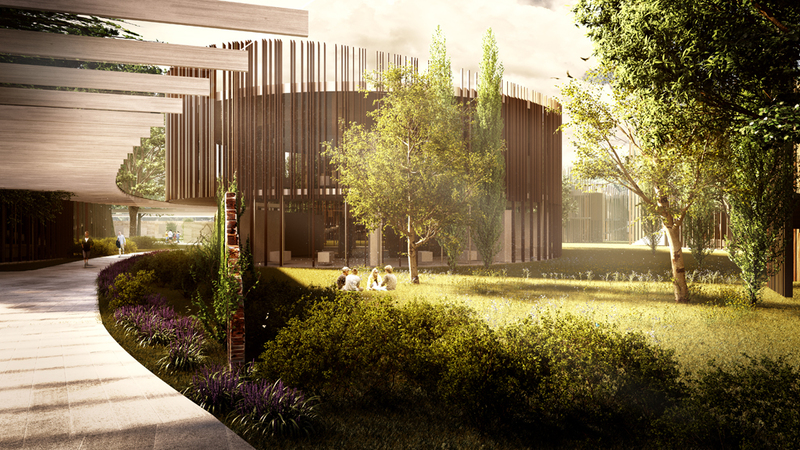 The Mosque visibly interacts with the park, with its green roof and the contemplative garden. Natural light is guiding your way through the Mosque and towards prayer.